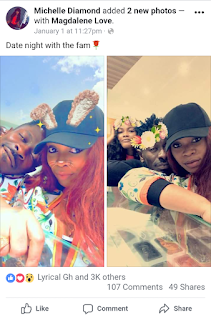 Shatta Michy has responded to those rumours that went viral that her baby daddy, Shatta Wale, has thrown her out of their shared home for allegedly cheating on him. 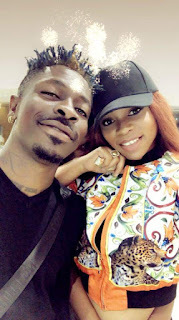 According to the reports, Dawuroo.com gathered from multiple sources, Shatta Michy was staying at Sonant Court Hotel in East Legon, Accra and has been there for the past 5 days. Michy hasn’t spoken on the issue— until last night with a Facebook post trying to shot down the rumours. Michelle Diamond Gbanogah has subtly addressed these allegations in a recent update on her Facebook timeline.She shared a photo of herself and Shatta Wale out and about in town.